Mr. Jorgensen is a member of the firm’s Corporate Section. His practice focuses on corporate law and advising clients through all stages of business development. Mr. Jorgensen regularly assist clients with business formation, securities filings, contract drafting and negotiation, and company acquisitions, mergers, and dispositions. Mr. Jorgensen also has extensive experience in real estate transactions, including joint ventures, acquisitions, dispositions, and financing of commercial real estate including office buildings, hotels, and residential multifamily properties and single-family homes. Mr. Jorgensen has also completed U-Visa applications, pro-bono, for victims of domestic abuse. Prior to joining Kirton McConkie, Mr. Jorgensen was an associate in the New York City office of Duval & Stachenfeld LLP. During law school he interned in-house at Acadia Realty Trust. 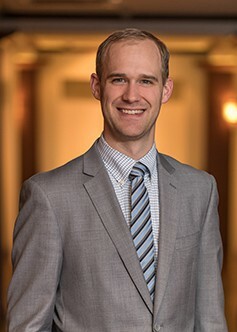 He is a graduate of Columbia Law School and received his undergraduate degree from Utah State University in Economics and Law and Constitutional Studies.